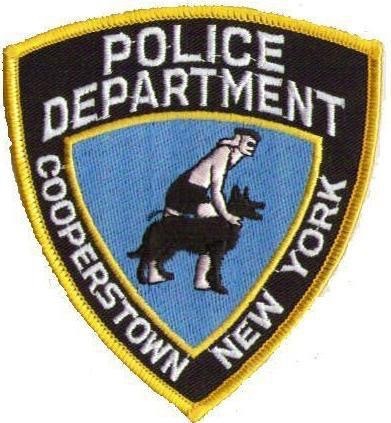 COOPERSTOWN, N.Y. — Police Chief Michael Covert announces that the Cooperstown Police Department will partner with the Police Assisted Addiction and Recovery Initiative (P.A.A.R.I.) to implement new addiction recovery initiatives and work with P.A.A.R.I. to place those struggling with addiction into treatment, starting this week on Thanksgiving. Modeled after the Gloucester ANGEL Initiative, the Cooperstown Police Department’s program encourages residents who want to overcome their addiction to simply walk into the police station, turn over their drugs and equipment, and ask for help. They will not be charged. Instead, they will immediately be placed into a drug treatment program, regardless of financial means or insurance. Bassett Medical Center in Cooperstown has committed to assisting Cooperstown Police in facilitating this process by helping to assess and treat those in need immediate medical care. Chief Covert is also pushing for local pharmacies to make Nasal Narcan available to residents without a prescription. Currently, Nasal Narcan is legal without a prescription in 12 states but New York is not one of these states. In addition to making Narcan available without a prescription, Chief Covert hopes to create a video that residents can view in the privacy of their own homes, which would be included with Narcan kits. This video would contain information on how to make a 911 call about an overdose, how to start CPR and administer the Narcan, what to expect when first responders arrive, and a list of agencies that can provide assistance and recovery support.